Anodes changed, antifouled last year but will be done in the next couple of months again. Well laid out galley with Eno gas oven and hob. Beneteau are one of the biggest boat builders in France and the reason is easy to see. They produce good quality boats priced competitively. double berth in the wheelhouse. You can helm from the wheelhouse or from the flybridge, much more enjoyable on a sunny day. The cockpit is large enough to enjoy an alfresco glass of wine with friends. A comfortable and sea kindly yacht for offshore fishing and cruising. 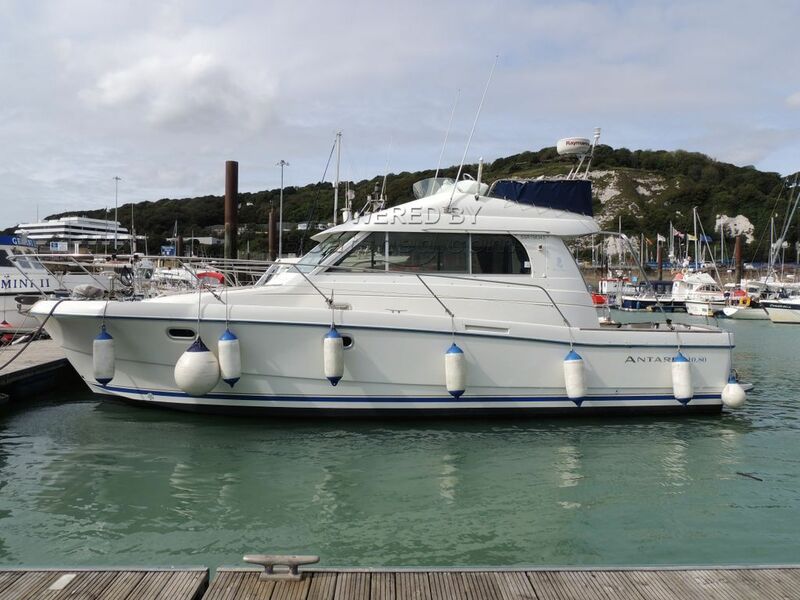 This Beneteau Antares 1080 Flybridge has been personally photographed and viewed by Suzzanne McDonald of Boatshed Kent. Click here for contact details.